The day my daughter’s phone broke, and she thought the world would come to an end, was nothing compared to when her computer stopped working. I have to admit, I could live without a phone temporarily, although our kids’ phones have become their life-lines; but when a computer malfunctions and all the work you did previously can’t be accessed, or worse, may have been lost; it may feel like the world is coming to an end. The good news is that it isn’t. There are plenty of (more competent than I) repair services available right near campus for those moments. I do, however, highly recommend a backup system for computers. I presently use Mozy for myself and my student’s computers. It simply backs up our computer daily (or as often as you deem necessary) so if they ever run into a jam there is no need to panic; all their work has not been lost. As for the phone, encourage them to plug it into their computer (or some use i-Cloud) once in awhile to be sure all their contacts and photos are backed-up. I also highly recommend a good phone case. My son complained they were too bulky, but after the fatal dropping of his second phone, I insisted that the new one wear a phone-case at all times and he acquiesced. They will thank you later. They can find some fun cases on Casetify so perhaps they won’t complain as much about having a case on their phone. Casetify even offers a 15% student discount with a verified student status registration or link through and get 20% off entire order when purchasing two items. UCF Tech Commons (located in the Technology Commons Building II) and Computer Store (located in the Student Union 107L) – Students can get computers repaired and diagnostics on any internal problems done. Diagnostics cost $40 and repairs are generally $100. They also do installations of software for $10, hard drive and memory $40. Hours are generally 8 am to 8 pm Monday through Thursday and 8 am to 5 pm on Friday, but the store is open later. Best Buy Geek Squad – (in Waterford Lakes) Their agents provide repair, installation and setup services on all kinds of tech – including computer repair, setup, and support. They have a little Apple store in their store too. No matter where you bought your computer or phone, they will help. iFixYouri – (4650 N Alafaya Trail) No appointment is necessary, but you can make one too, and if you’re in a rush they have a full-service drive-through where you can drop off your phone or computer and come back later! 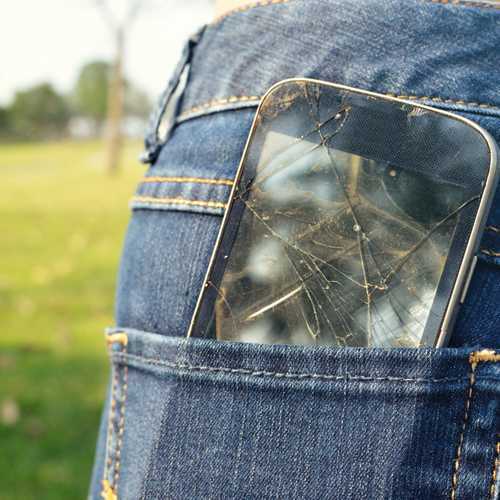 From cracked glass and broken LCD screens, to water damage repair; they say they can fix it all, quickly. They also do screen protectors for students for $15. Fix Stop – (Waterford Lakes) They offer free technology diagnosis, 30 minute iPhone repairs on basic things like cracked screens, buttons, batteries or speakers, a lifetime warranty on various things, will match a better price, give you money towards a trade-in if your pc or phone can’t be repaired, often offer same day service, on-site or in store, and are open 7 days a week. Right now they are running a special of $20 off for repairs of $70 or more and $10 off below $70 when you schedule an appointment online. Check for other specials when you need help since they do expire. UBreakiFix – (11779 E Colonial Dr.) Most repairs on Smartphones and computers are completed the same day and all their work is backed by a 90-day warranty. They will price match any competitor. Concierge Computer Repair & Networking – is about 11 minutes from campus (14511 Hertha Ave.) They offer data recovery for mobile phone repair at competitive prices, but will also give you a quote within 30 minutes. The reviews are great, but we, fortunately, have not had to use them. The closest Apple Store is in the Mall of Millenia which is about a 30-40 minute drive. Be sure to make a reservation in advance as they are always busy. The ads and links that appear on our blogs may be partners of HaveUHeard. All opinions and products mentioned in our blogs are 100% our own. We hope you will patronize these businesses. Partnerships like these make HaveUHeard possible.